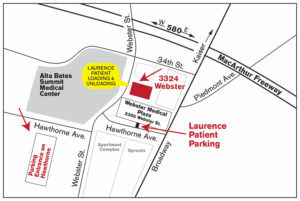 In 1946, Matt Laurence founded the Oakland practice of Laurence Orthopedic. The corporation has seen four owners and four practices in the subsequent 66 years. In the early eighties three satellite locations were sold to the managing practitioners and these locations grew into Laurence-Farrow, East Bay Orthopedic, and Bay Orthopedic. Hanger Orthopedic eventually bought these three practices. The original Laurence Orthopedic maintained its presence in the Oakland area. Then in 2005, the practice extended to Concord, when a satellite location opened. The practice was staffed by 2 CPO’s, 2 COA’s, 1 board eligible prosthetist, 2 technicians, and 4 office personnel. Laurence Orthopedic has a strong patient load in scoliosis bracing, clubfoot bracing, Orthotics and Prosthetics. Our primary working philosophy has been to provide the simplest solution that corrects the patient’s problem and to match technology to the patient’s needs. 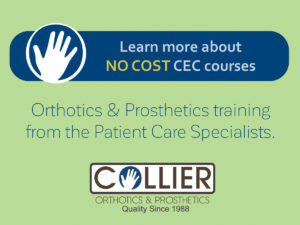 Now associated with Collier Orthotics and Prosthetics, the expanded staff at our Oakland and Pleasant hill locations offer practitioners who are trained in the highest levels of competence and fully certified. On site fabrication gives us a great advantage in providing positive patient experiences and utilizing highly skilled technicians with the highest manufacturing and patient care standards. Robert Jensen, former CPO and Spinal Specialist has recently announced his retirement. Bob’s contributions to the orthotics and prosthetics community over the years will always be a part of the Laurence Orthopedic history. In 1970, Robert Jensen graduated with a bachelor of arts in pre-med biology from Beloit College in Wisconsin. In 1978 he discovered O and P by accident and in 1979 he completed UCLA’s long-term Orthotic and Prosthetic Program. Bob initially worked with Hittenberger’s in San Francisco and a few of their satellite locations. He then worked at Laurence-Farrow O and P in Concord and in 1991 he purchased Laurence Orthopedic in Oakland. Over the years Bob’s specialized in lower extremity prosthetics and scoliosis bracing, but also enjoyed the full range of O and P challenges. Bob served as the director for the The California Orthotic and Prosthetic Association from 2006 – 2018.